So you would like to spend the day updating your knowledge with one of our vets. You know it would be interesting and helpful but you don’t feel like you can afford it right now. If you are on our mailing list you we do send out special early bird tickets and we do offer discount codes to use as well. I do totally understand that horses can be a drain on your bank balance, so we can offer an option to split the cost, with your purchasing a deposit ticket and then paying the balance before the course itself. If you can’t see this ticket option for the course you’d like to attend just let me know and we can add it for you. 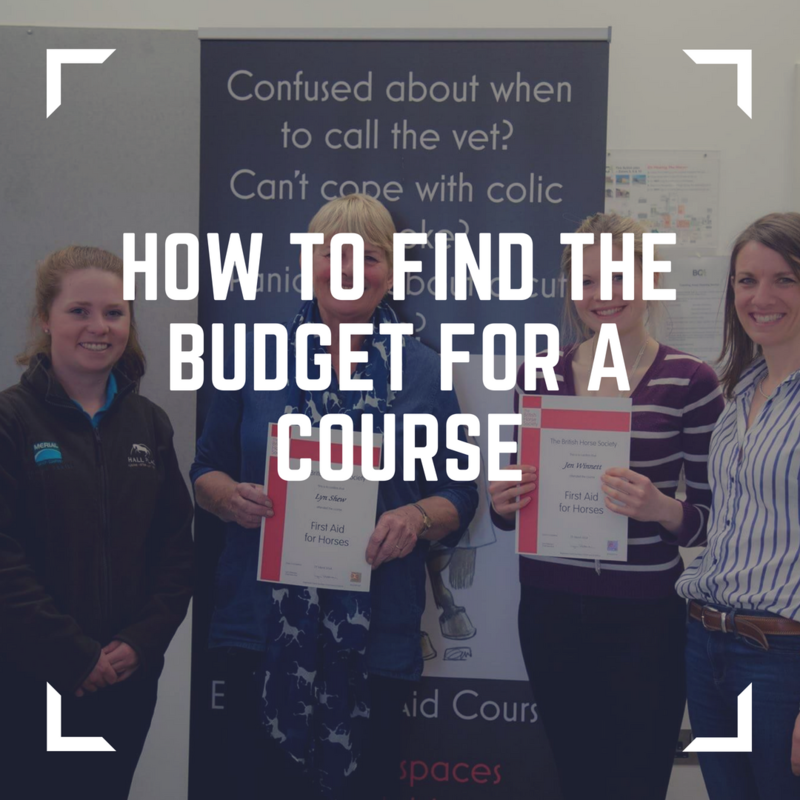 If you want to invest in your own learning could you run a horsey car boot sale, or host a clinic at your yard to create the funds that you need? You can create a sales page on Eventbrite in a few minutes and get an event up and running. Do you have money sitting in a bank/building society account that you don’t use anymore? Think creatively about what skills you have, and what you could swap them for. Reducing ‘cash payments’ for lessons, livery, physio treatment by working on a service swap could provide you with some much needed revenue. One of my very good instructor friends does this, swapping lessons for haircuts, facials and back massages. Have a good look through your horsey gear, still got that saddle that fitted a horse five years ago that you no longer have? Do you really need six show jackets? Most of us horsey people do like plenty of ‘gear’, anything that you can pop on Ebay and turn into cash? Chances are as a horse rider you probably have lessons and go to competitions. These are great fun, and a brilliant experience with your horse. However these come at a price. You are probably paying £25-50 per lesson (depending on your trainer and location) and a day eventing starts at £100… before you’ve filled up the lorry. If you missed a few lesson, or skipped one competition you’ve got the budget for the course. If you are employed within the equine industry this course will make very useful CPD, you should be able to claim the cost of the workshop back from your employer, or offset it against your business if you are self-employed.